At Castel Froma Neuro Care, we believe in holistic and person-centered nursing care. Residents and families are assigned a named nurse who is responsible for planning and evaluating all aspects of care provided. The named nurse gets to know and understand your needs and will plan your care with you and your family – becoming your first point of contact. 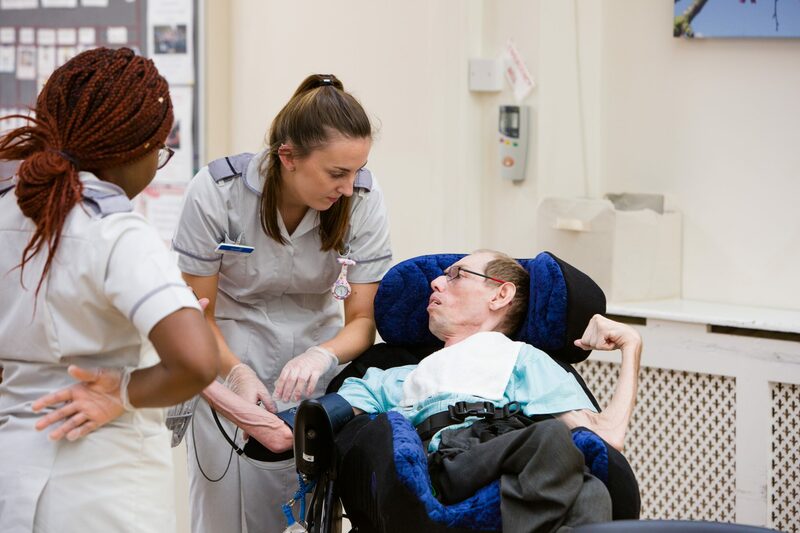 Our nurses are highly experienced in the care of people with complex medical needs and are able to deal with a wide variety of emergencies that may arise. We are able to nurse residents who are ventilated, have tracheotomies, PEG tubes and Supra Pubic catheters, or who have complex pressure care concerns. The Castel Froma Neuro Care team of carers who are responsible for the welfare of all residents, are overseen by dedicated Care Supervisors who ensure a high standard of care is provided at all times. Many people have concerns before moving into a care home, from the conditions they will be living in, to the food they will be offered. Let us give you an idea of what a typical day for a resident at Castel Froma Neuro Care looks like. What is a day at Castel Froma Neuro Care like? We are a friendly and professional team of 240 clinical staff who provide expert and personalised care for residents with complex healthcare needs.